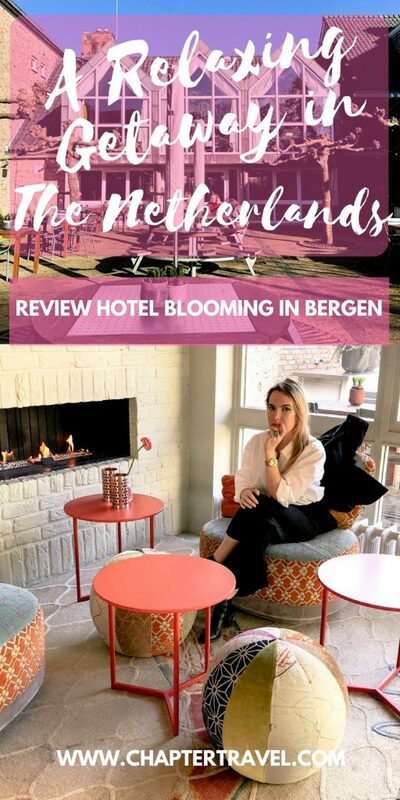 Recently I had a relaxing stay at Hotel blooming in Bergen. It’s blooming without a capitalised b, because they use it like the verb. I’ve never been in Bergen before and I was impressed by all the nature and beautiful landscape. The visit was an arranged press trip with other bloggers and it came at the right time, because I really want to explore more in my own country. 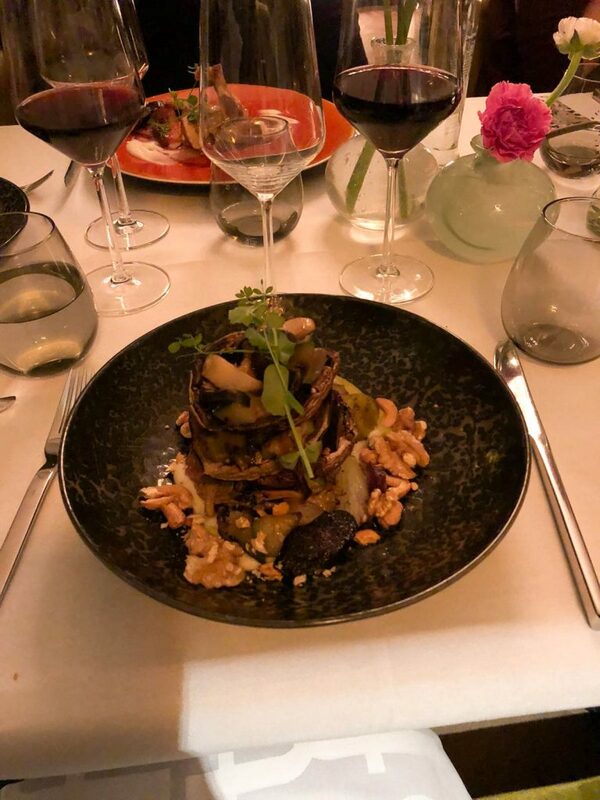 During my stay at Hotel blooming I ate a lot of amazing food, had a relaxing time in the sauna and swimming pool and our whole group took a kickboxing lesson together. Bergen is also a beautiful town and I couldn’t believe I was still in my own country! 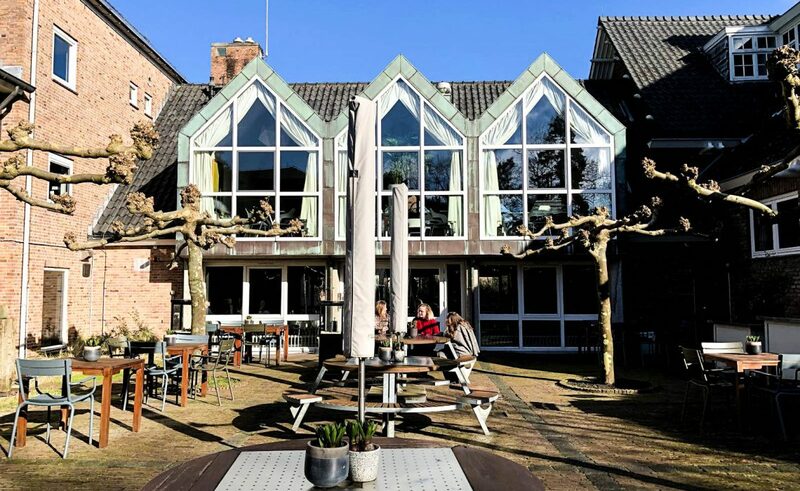 Perhaps you’re looking for a relaxing getaway in the Netherlands? 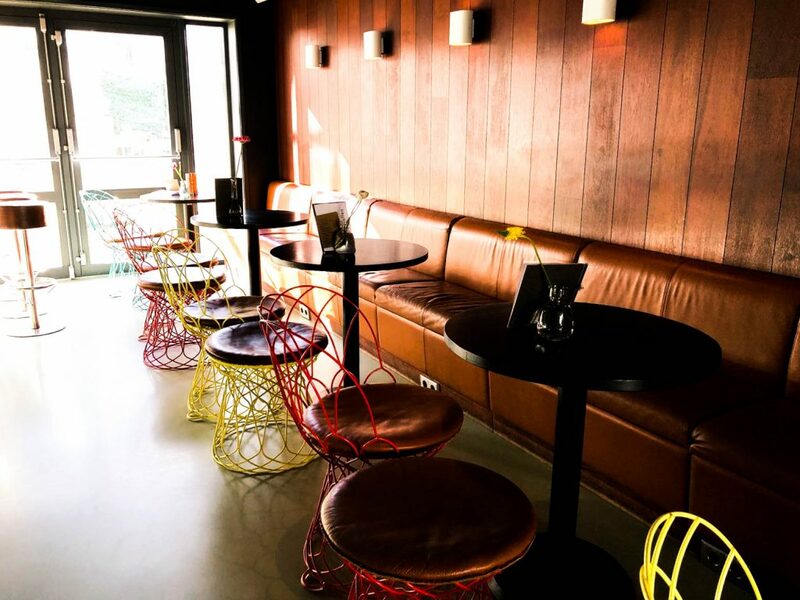 If you need time to unwind, a visit to Hotel blooming in Bergen is definitely the right choice for you. 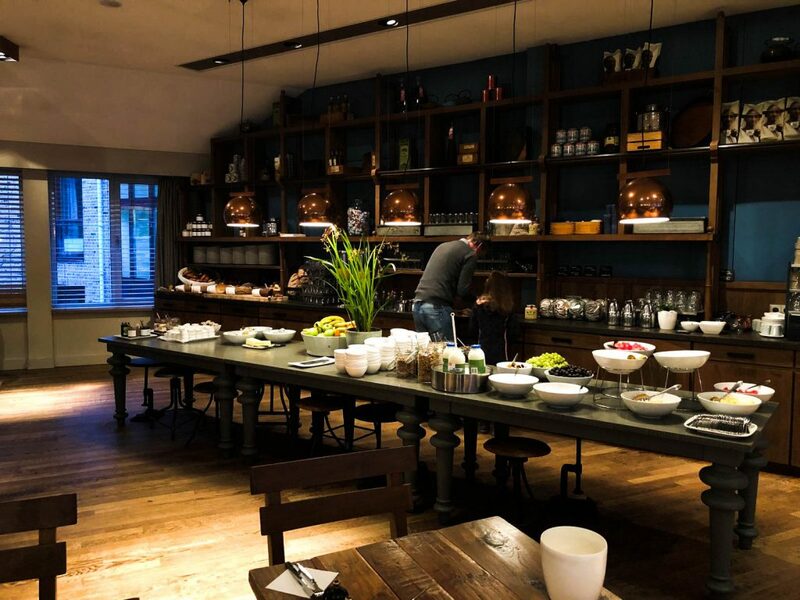 Below you can read my review of Hotel blooming, with a bit of information about the hotel, the room I stayed in, the food I had, details about the facilities and more. Be sure to also read our article with 15 Cool Day Trips in the Netherlands. Hotel blooming is perfect for: getaway with families, couples or friends. Find more information on availability and prices on Booking.com. Before we really dive into the review, I just want to tell a bit more about the philosophy behind Hotel blooming. Because I quickly found out that it isn’t a regular hotel. What I liked most was that Hotel blooming is very aware of the importance of sustainability and they try to be as responsible as they can. Hotel blooming gives a lot attention to sustainability and socially responsible causes. For instance, they work together with Scorlewald, an anthroposophic care institution. Hotel blooming has a garden on their property, which is where members of Scorlewald can grow vegetables, fruit and flowers. 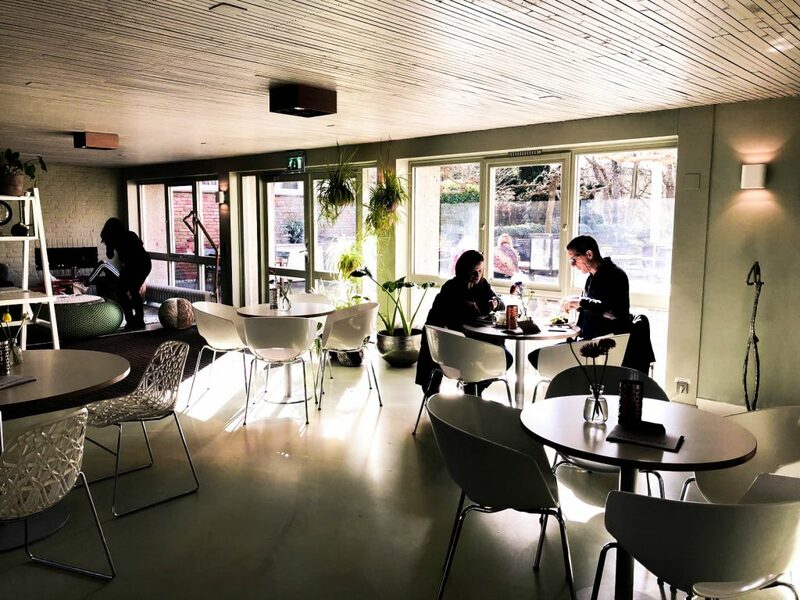 In this garden, called De Hoftuin meaning ‘the courtyard garden’, products are made that are actually used in the meals of Hotel blooming, blooming beach and landgoed Het Hof. 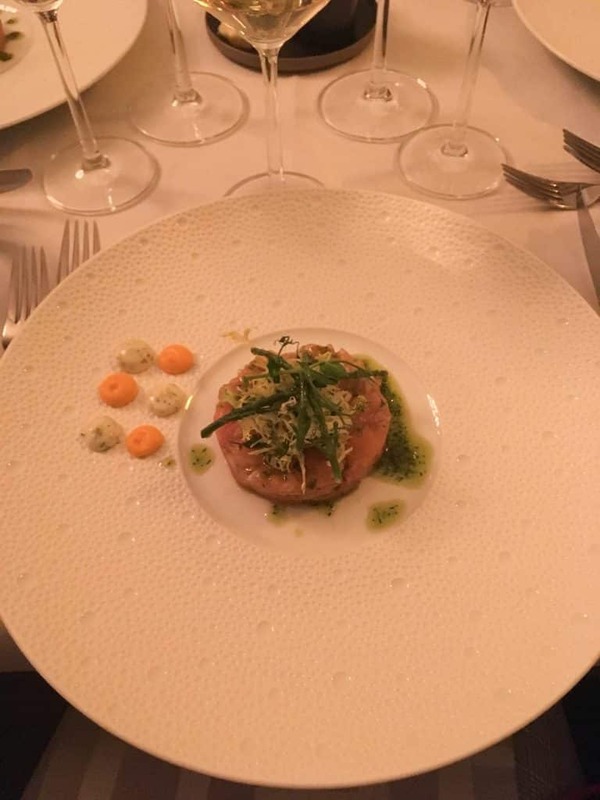 I’ll talk more about Het Hof at the dinner part of this review! The blooming companies have to be profitable in order to fulfill it’s duties, but it’s their goal is to make a social contribution and work towards a sustainable future, in every way possible. They do so with their buying behaviour, energy supply, waste management, personal policy and choice of suppliers. For instance, instead of giving their general manager a big bonus, they use that money to grow and enhance their philosophy of sustainability. 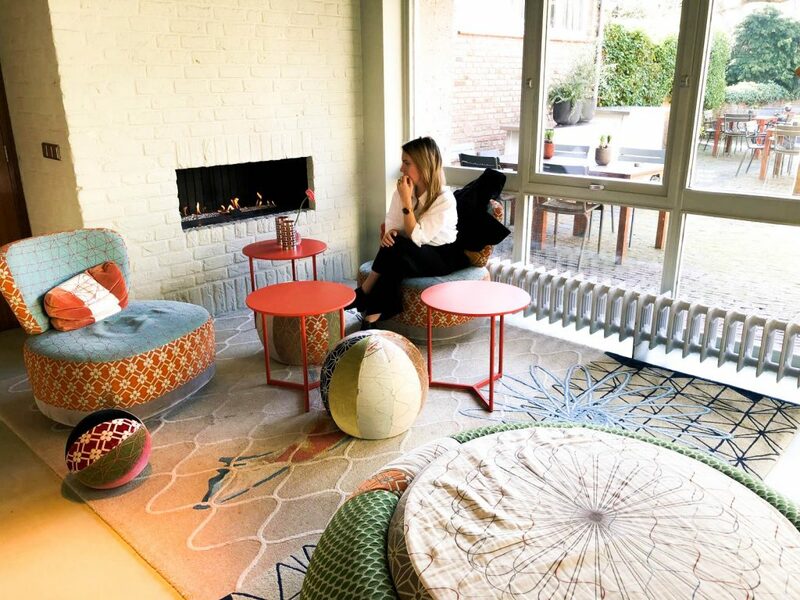 Hotel blooming is located in Bergen in Noord Holland, at the edge of the forest and it’s surrounded by dunes. Once you drive up you’ll see lots of beautiful trees and I can imagine it looks even better during spring and fall. Our visit was during the wintertime, which was also beautiful because it was actually snowing! The beach is only 6 kilometers away from the hotel. At the hotel you’ll find multiple restaurants, a bar and outside there are terraces where you can sit and have a bite to eat or something to drink. It’s really the perfect location for people that are looking for some peace and quiet. Bergen is a picturesque village located on the forest and close to the beach of Bergen aan Zee. Bergen is known as an artists’ village, because a lot of the inhabitants are painters, writers and architects. That’s why in town you can find lots of culture, with lots of art galleries and museums. It’s a town where culture and nature meet. In total there are 128 rooms in Hotel blooming that all offer the comfort that you need. Each room has a special Coco-Mat mattress made of natural materials, so you’ll have a great sleep. Hotel blooming offers single rooms, double rooms, family rooms and suites. Together with a friend I stayed in a double unlimited room. The room came with a rain shower and bathtub and a view over the beautiful dunes. There was free WiFi and the very comfy Coco-Mat mattress. We were lucky, since it had snowed the day we arrived, making the view even more special. Unfortunately the snow had melted in the afternoon the moment I decided to take a photo! The windows were from floor to ceiling, which gave the room great natural light during the day. During our stay we made good use of the facilities. There is a swimming pool, whirlpool and sauna. It’s also possible to book a massage for ultimate relaxation. At the ground floor you can find the swimming pool, whirlpool and sauna. 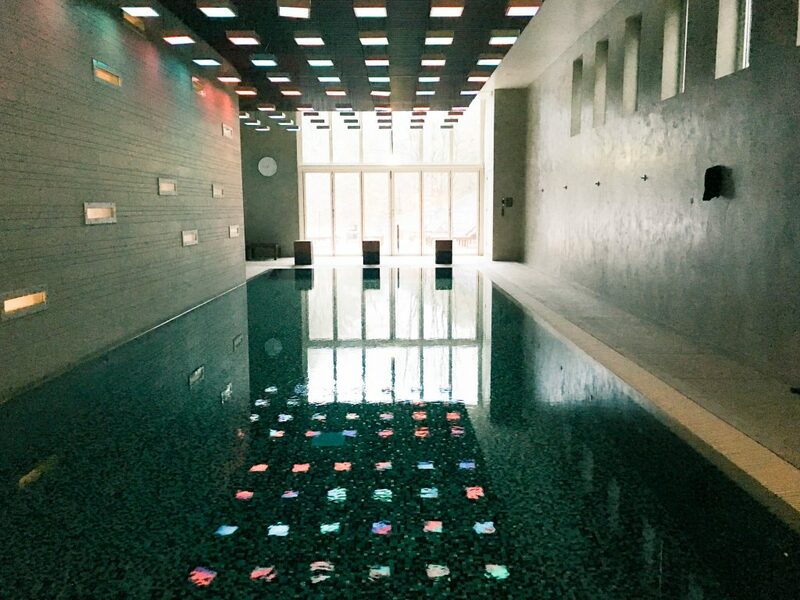 The swimming pool area is unique with lights that change of colour above it. At the end of the swimming area there is a big window from the floor to the ceiling. Even though it’s such a big window, the beginning of the area is a bit dark, creating a cool effect with the changing lights on the ceiling. Of course we also made good use of the sauna. If you want to use it too, make sure you ask the reception to heat it up for you 30 minutes beforehand. They only turn it on if people actually make use of it. There are various possibilities for breakfast, lunch, dinner and drinks at Hotel blooming. At the lobby you can order drinks, but also something to eat. Outside you can find a terrace that looks over the indoor pond. There is also a bar which offers the same menu as the terrace! 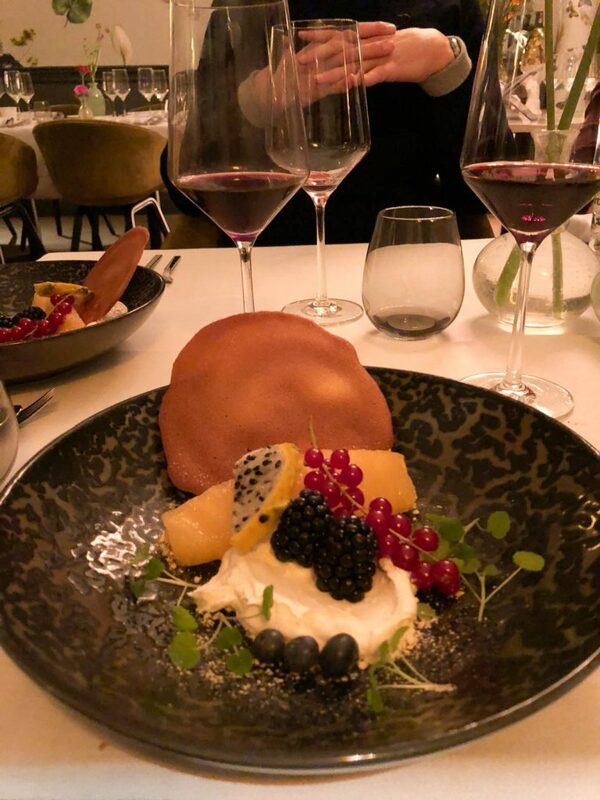 The hotel has a restaurant called Vigor, where you can sit comfortably in the main area or you can choose for a private dinner in one of the two private dining rooms. Two other options are landgoed Het Hof or blooming beach, which is situated at Bergen aan Zee. One of the best parts of the hotel was definitely breakfast, which is served in restaurant Vigor. I’m a big foodie, so the breakfast buffet at blooming was a real treat. There are different breads, spreads, both savoury and sweet, fruit, granola and yoghurt. There was even a waffle station where you could heat up your own waffles and cover it with mapple syrup. Delicious! If you don’t want to get out of bed, it’s also possible to get roomservice ;). At Vigor they have a wood oven in which they make various dishes, such as fish, biological vegetables from their own garden but also pizza’s! We tried their lunch, which was delicious. They served tomato soup and different kind of sandwiches. During our stay we also had dinner at landgoed Het Hof, which is not located at the hotel, but on an estate closeby. It’s actually a very old property that is on the monument list. Especially for the press trip they arranged a lovely dinner here, and all the bloggers were clearly impressed by the big rooms and the lovely dinner. Each room seemed to have a fire place, and are perfect for different type of meetings and or a lovely get together. We had a perfect three course dinner here and they catered for every need. I personally don’t eat meat and that wasn’t a problem at all. 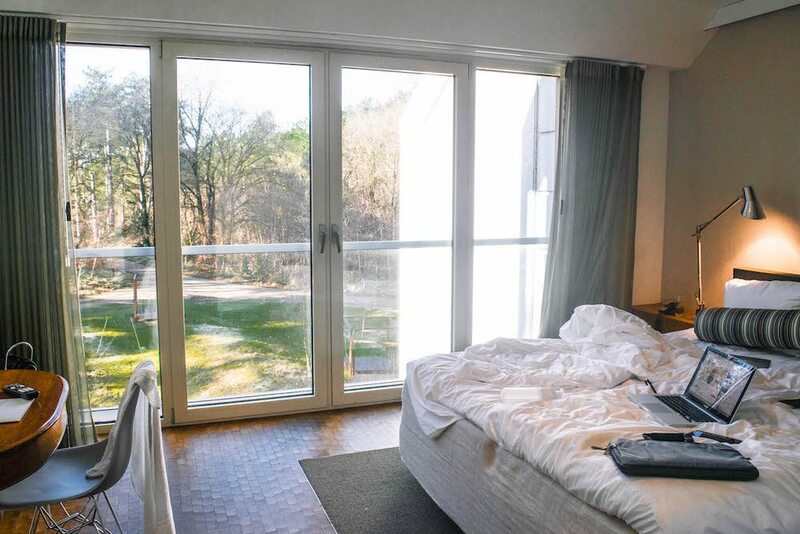 Ready for a relaxing getaway in the Netherlands? Check prices and availability and book your stay at Hotel blooming! In order to stay transparent I want to add that I had a complimentary stay here in collaboration with Typhoon Hospitality. However, you can trust that my review is completely honest and it wasn’t agreed upon that I would write one. I would definitely recommend this hotel to family and friends too. If you’re unsure or have any questions, feel free to contact me via info@chaptertravel.com or leave a comment below!